The social media landscape is constantly evolving and moves at a rapid pace. Whether it’s changing trends, a new social channel or the latest updates to already established channels, something is always happening and it normally happens very quickly. Sometimes it makes it impossible to keep up with day to day work running the business. Many Business owners set up profiles and then let it go dormant which leaves a bad impression. Therefore, it’s important that you use a social media that you will be active on. You are better off not being in a platform rather than having it dormant. Being a small business owner myself I have learnt 5 basic steps you can start immediately which only needs 15 minutes a day to tap the social media and generate leads. LinkedIn has been creating a buzz in the social sphere for many years but it isn’t just a regular social media platform. LinkedIn is aimed at business users, making it ideal as an online networking tool helping you to build useful contacts and even create your own groups. Once you have connected with influencers and experts in your field you can use this channel to access specialist advice and join in conversations so that you can stay up-to-date with industry specific news and trends. These are just a few examples of ways you can effectively use social media to help your small business tap into trends. 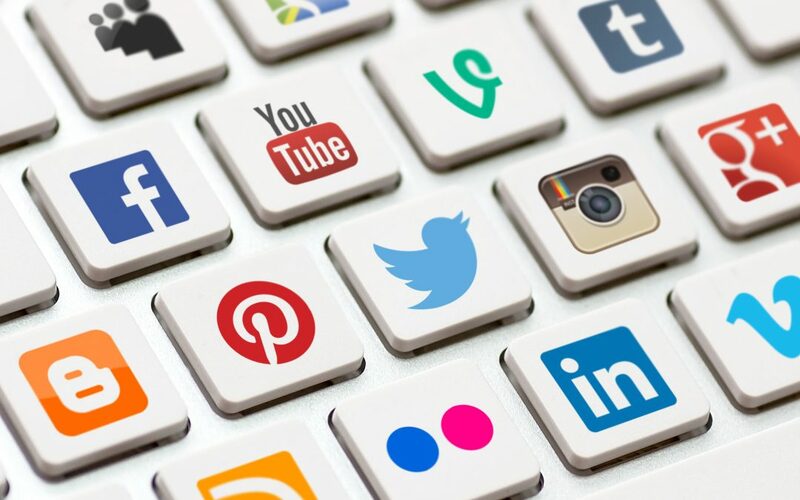 Social media is constantly evolving so remember to continue to do your research so that you can choose the platforms that work best for your business and keep your marketing strategy fresh and up to date. Twitter is the perfect platform for staying up-to-date with the latest trends. As soon as a big news story breaks you can read about it immediately. By nature it is fast moving which is why it’s important to keep an eye on the list of trending topics as well as set up and save your own business specific searches on your account. For example, if you are a British wedding cake business you could save searches such as #weddingcake, #cake and even #MadeinBritain. This way you can quickly and easily check in on conversations around these topics as part of your daily routine. Another handy tool you will find on Twitter is the ability to make lists. Follow those who are influential to your business and add them to a list. This way you can easily sift through the noise on Twitter and keep an eye on what really matters to your business. Facebook is a great platform for sharing your online content with fans but it’s also a way to keep an eye on the content your competitors are posting. Check in on your competitors’ pages from time to time to see how they are using the platform to tap into trends and interact with fans. Have they recently linked their content to major events like the World Cup, Wimbledon or the Tour de France? If so, make a note of how they have done it, if it has worked for them and how you could also tap into similar events. You will also notice that Facebook have taken a leaf from Twitter’s book and added a handy section on your feed to show the most talked about ‘trending’ conversations. You will find that many big brands use YouTube as a channel for their reactive campaigns. Whilst your budget may not stretch to creating expensive video content, you can use these campaigns to get inspired and understand how brands are tapping into trends with their reactive ads. You can then subscribe to brand channels that inspire you the most. YouTube is also good for catching up with content that has gained traction and gone viral, keeping you informed of any new crazes sweeping the nation. This can help to give you an insight into what sort of content communicates well with audiences. You can also see a roundup of viral videos on many online news sites like the Guardian or the Huffington Post. Google+ is a channel that is growing in popularity, particularly with experts and influencers. Although it may not have as many users as Twitter or Facebook yet, this actually makes it a lot easier to find the content that matters to you. Create circles relevant to your business and add influencers into them. This way you can keep up with news and the next big trends in your industry. An added bonus is that the next time you search for a certain topic on Google you are more likely to see posts from those influencers pop up in your results rather than lots of random articles. Google+ Hangouts are a growing trend worth keeping an eye on too. These will help you to network with new people and stay informed of conversations and trends specific to your business. Even Prince William and Prince Harry have tuned in to this trend when they recently made history with the first royal Google Hangout.